With the Great East Japan Earthquake and the Fukushima Daiichi Nuclear Power Plant accident, Japan was forced to reconsider its energy policy. Last year, the Japanese government announced a goal of reducing dependency on nuclear energy and increasing the amount of renewable energy used to 22–24% by 2030. The decision was also made to lower CO2 emissions to 26% below 2013 levels, and this goal was also presented at COP 21. How will these goals be reached? As debates continue, there is one city that is a leader in examples of reducing CO2 emissions. 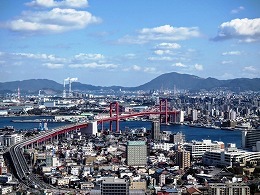 That city is Kitakyushu in Fukuoka Prefecture, which overcame its issues with pollution to become a shining example of an environmentally-friendly city in Asia. 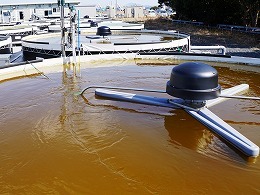 A variety of renewable energy power plants are found in Kitakyushu City Prefecrue and a project is also underway to create jet fuel from marine algae. The city has also started its “Hydrogen Town Project,” a world first. By ensuring visibility of energy supply and demand at the scale of the town as a whole, with resident participation they succeeded in an experiment reducing peak energy consumption by 20%. Kitakyushu City has also been chosen as a “Nursing-care Robot Special Zone” by the national government. 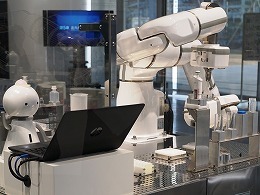 The head office of the company with the highest share in the world for industrial robots is located in the city, and last year a Robot Village was opened where visitors can meet a variety of robots. As the aging of the population becomes progressively more advanced, a local nursing-care robot venture company is also attracting attention. 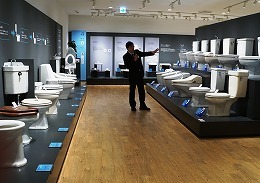 The originator of Japan’s high-tech toilets and driving force between the evolution of toilets also has its head office in Kitakyushu, and last year opened a toilet museum. ・Visiting Kitakyushu City, the front line of renewable energy and efficient energy use in Japan, this press tour will cover the city’s policies and cutting-edge methods to reduce CO2 emissions. The tour will also visit the site of a project to make jet fuel from marine algae. ・There will also be opportunities to encounter unique robots at Yaskawa Electric Corporation, the world’s largest manufacturer of industrial robots, and at a local startup making walking assistance robots. 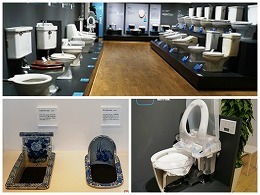 ・The tour will also cover Toto, the leader in the evolution of high-tech toilets in Japan. *This press tour is sponsored by Kitakyushu City, and planned and operated by the FPCJ. -One of the greenest cities in Asia, working towards reducing CO2 emissions, and local consumption of locally produced energy. Kitakyushu City in Fukuoka Prefecture is an international city located on the northernmost point of Kyushu, with a population of 960,000. Since it is close to other Asian countries, located at a midway point between Tokyo and Shanghai, the city prospered as Japan’s gateway and as an industrial center. Since the Meiji government opened a steelworks there in 1901, Kitakyushu developed as one of Japan’s top industrial towns for heavy chemicals, and experienced issues with severe pollution in the 1960s. The city managed to overcome this pollution and restore its ruined environment. 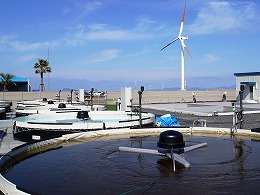 The newly-reborn Kitakyushu City then began working to become an environmentally-friendly city, such as by using wind and other renewable energy sources. The city’s leadership in energy efforts as only accelerated since the 2011 Great East Japan Earthquake. The city has implemented a number of initiatives for energy efficiency, such as working towards local production of energy for local consumption with the world’s first Hydrogen Town Project, which supplies homes with hydrogen created as a byproduct in local steelworks, and making energy consumption of an entire town visible in order to reduce energy use. Also, the city will start providing public facilities with power generated by the city’s waste incineration plants this April. Using its accumulated experience and knowledge, Kitakyushu City has also engaged in environmental international cooperation including helping improve the air quality in several Chinese cities, and working on composting organic waste and reducing the amount of waste in Surabaya, Indonesia. In 2015, a low-cost water purification system using decomposition by microorganisms developed and patented by Kitakyushu City was introduced in Hai Phong, Vietnam’s 3rd largest city. ◆In addition to interviewing the mayor about the city’s energy and environmental policies, the mayor will present a message about the G7 Energy Ministers Meeting to be held in May. He will also discuss the city’s initiatives in new areas, such as its policies for the Nursing-care Robot Special Zone. 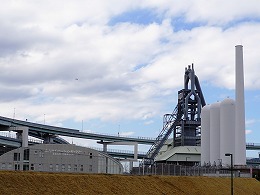 As the site of the original steelworks, Higashida District was the heart of Kitakyushu, the “town of iron.” A variety of “energy management with local production for local consumption” initiatives are underway in this district, with the goal of intelligently using the energy produced in the area. In Higashida District (approximately 120 hectares in size), 200 households and 50 businesses participated in Japan’s first pilot study on dynamic pricing involving an entire town. Dynamic pricing involves changing the cost of a commodity in response to demand; in this case, electricity. Dynamic pricing encourages consumers to use less energy during peak consumption times, thus leading to reduced energy use. With weather data such as temperature, times when the demand for power will peak are predicted, and through the smart meter display installed in each home and business, consumers are made aware in advanced of when costs will be higher. This encourages consumers to reduce power consumption, and so decrease peak demand for electricity. According to the data from the two years this study was carried out, starting in 2012, the power consumption at peak times by households participating in this system reduced by an average of 20%. In order to make a hydrogen-based society reality, there are many aspects to be studied, such as pipeline materials, safety methods, and cost. With the unprecedented amount of experience and data Higashida has, it could play a big role working towards this future. ◆The tour will visit the Higashida District Smart Community, and after listening to a briefing about the project, see the control room for Cluster Energy Management System and a home supplied with hydrogen. -The production process doesn’t emit CO2. Discovery of a rare algae species that makes oil in cold seasons was the catalyst. This project involves taking advantage of the characteristic of some types of algae that store oils in their structure, using it to produce fuel from algae. 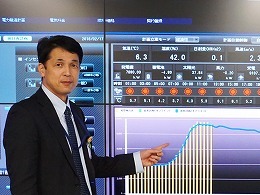 The most unique part of the project at the Wakamatsu laboratory is decreasing the energy and cost used in production, so that almost no CO2 is emitted in the production process. 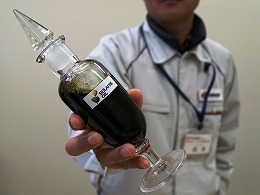 Since 2009, J-Power’s Wakamatsu office in Kitakyushu City has been working on a green oil project to cultivate marine algae and make it into jet fuel. With the goal of making it practical by the time of the Tokyo Olympics in 2020, they are researching methods for mass production. According to Lead Researcher Dr. Matsumoto, “If you spend energy and money, it is possible to make as much oil as you want from algae. But it is pointless if CO2 is emitted by using energy in production.” Cultivating algae indoors, with artificial lighting and temperature control, would just create CO2 emissions as it was made. 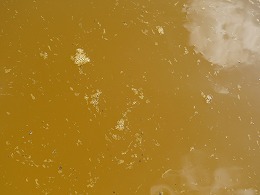 Therefore, producing the algae outdoors is one of the hurdles to making it feasible. The Wakamatsu lab has succeeded at cultivating algae outside with sunlight, year-round. This was made possible by switching seasonally between cultivating solaris algae, which grows in warm environments, and lunaris algae, which grows in cold environments. This method was the first of its kind. Even though there are said to be up to 10 million species of algae on Earth, so far less than 10 species have been found that can both store oil and be cultivated outside. Dr. Matsumoto has found 2 of the treasured algae species that have these characteristics. In particular, the discovery of lunaris, which can grow in a cold environment, in the sea near Kitakyushu was critical to enabling production during winter. ◆The tour will speak with Dr. Matsumoto, in charge of research and the discoverer of the rare algae that made low-energy, low-cost cultivation possible. In addition to hearing about the project, with growing hopes that it will be practical by 2020, the tour will also see where the algae is cultivated. 4. Overcoming Pollution to Become Japan’s Leading Green City. Providing Knowhow to Other Asian Cities. Today, Kitakyushu City is a leader in Japan in the areas of energy efficiency and reduction of CO2 emissions. However, this is only due to the efforts of people who worked to overcome the pollution the city suffered from in the past. 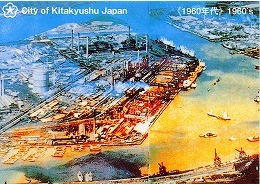 Since the steelworks started operations in 1901, Kitakyushu City was one of the four major industrial centers that helped support Japan’s modernization. However, behind the prosperity of the period of rapid economic growth in the 1960s, significant pollution became an issue. At the time, Kitakyushu recorded the worst numbers for air pollution in Japan, and many residents suffered from shortness of breath. 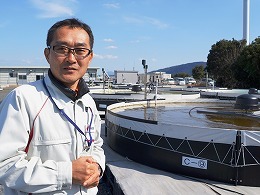 Dokai Bay was polluted by industrial wastewater to the extent that it became a “Sea of Death” where not even E. coli could survive, let alone fish. The first people to stand up against this state of pollution were mothers worried about their children’s health. In response to the protests, the city government introduced a set of ordinances. Corporations improved their production processes and installed decontamination facilities to remove pollutants. This process also led to advancements in technology to conserve energy and natural resources. Having overcome the pollution with these efforts, in the 1980s Kitakyushu became known as the city that miraculously restored its environment. 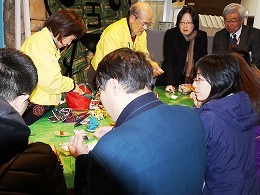 The city now helps other Asian cities with its accumulated knowledge, and over 7,000 people from 146 countries and regions have come to Kitakyushu to study environmental topics. 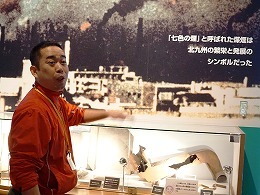 ◆The tour will visit the Kitakyushu Environment Museum, and hear the history of how the city overcame its pollution, as well as seeing the exhibits such as photographs from the 1960s. 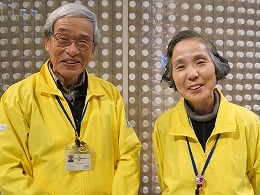 Citizens who remember what the pollution was like (Environment Museum volunteers) will also provide interviews about what the city was like in the 1960s and their feelings on the environment. -A lineup of unique robots, and a factory where robots build robots. 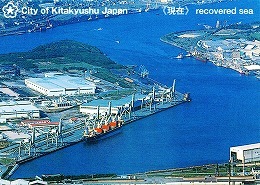 Kitakyushu City is the location of the head office of Yaskawa Electric Corporation, which has the largest share of the global industrial robot market. 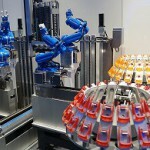 The company’s industrial robots are mainly used for manufacturing automobiles, as well as a variety of other products such as food and clothes. The domestic Japanese market accounts for 20% of their shipments, with the other 80% going overseas. They have entered 28 markets throughout the world including the USA, Asia (China, Singapore, South Korea, Taiwan), and Europe (13 countries including Germany). As the birth rate continues declining and the population aging, in recent years there has been trend of labor shortages in factories in China and other countries around the world. This has led to a significant increase in the demand for industrial robots. Using robots also has the advantage of improving safety, by having them handle manufacturing jobs that would be dangerous for humans. 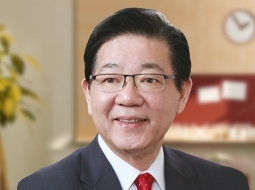 With the increase in global demand, Yaskawa’s sales for fiscal 2014 increased by 10.1% year-on-year to ¥400.2 billion, a new record for the company. The company has also been putting resources into the nursing care and medical fields in recent years, in response to the declining birth rate and aging population. 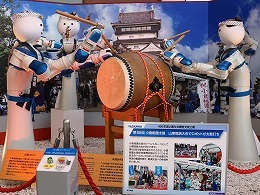 For the 100th anniversary of Yaskawa Electric’s foundation, the Kitakyushu headquarters and factory was renovated and opened as “Robot Village” last year. 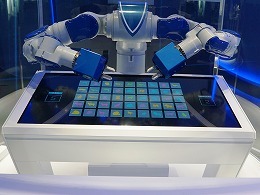 The Yaskawa Innovation Center was opened at this time as a place to present the company’s technology and display a variety of robots. 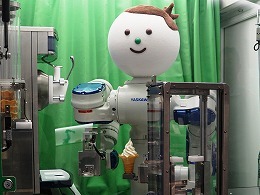 From robots that make ice cream or put together toy cars at extraordinary speed, to medical robots, the Innovation Center’s robots display the extent of Yaskawa’s technology. 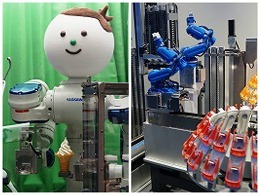 ◆The tour will visit Yaskawa Electric and cover its robots, including ones that play Japanese drums, make ice cream, and assemble toy cars at high speeds. Located in Kitakyushu City, Reif Co., Ltd. is a robot startup company founded in 2008. 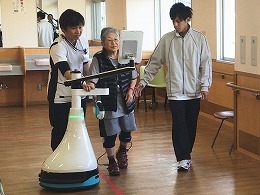 The company is focusing on the field of nursing care, and has developed a walking rehabilitation assistance robot using its patented spherical drive technology. As a shortage of labor in the nursing care industry is becoming a social issue with the aging society, this robot has been the target of attention. The unique features of Reif’s walking rehabilitation assistance robot "Tree" is that with each step the patient takes, the robot moves and speaks to the patient to provide audio directions, while also displaying the patient’s feet on a monitor display, marking the position where they should place their foot. The patient can move forward holding on to the handle with one hand. By calling out a rhythm to walk at, and providing verbal encouragement, the goal is for the patient to be able to enjoy practicing. 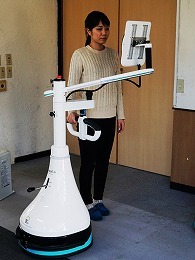 Mr. Takemoto, vice-president of Reif, said that “The fact that the robot praises the patient’s efforts really helps increase motivation.” The robot can be adjusted to match the height and stride of each patient, with separate data of practice records for each. The robot can help significantly reduce the burden on nursing care workers. 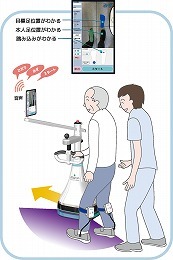 Sales of the robot began last year (¥3.3 million per unit), and it is in use at four nursing facilities and hospitals across Japan, with clear results in improvements of patients’ walking speeds and the length of their strides. At the request of Changi General Hospital in Singapore, where the population is predicted to be even older than Japan’s in 2035, tests have begun in preparation for introducing the robot. In addition to Japanese and English, progress is underway on making the robot compatible with more languages such as Chinese and Malay. ◆The tour will visit Reif Co., Ltd. and hear from the company president about the features and development of the walking rehabilitation assistance robot, as well as seeing a demonstration. 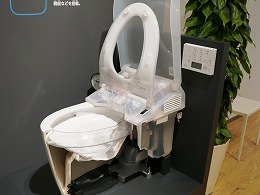 Japan’s high-tech toilets are often a cause for surprise among foreign visitors to Japan, with features such as the lid automatically opening and closing with a sensor for movement, heated seats, and odor removal. There are even toilets that will wash and dry you with warm water and air once your business is done. 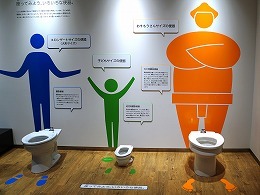 According to a 2015 study by the Ministry of Internal Affairs and Communications, over 75% of households in Japan now have warm-water bidet toilet seats. The evolution of these high-tech toilets has been driven by TOTO Ltd., a company headquartered in Kitakyushu City, founded in 1917. They are the top Japanese maker of toilets, baths, and bathroom vanities, with the 100th year anniversary of the company’s founding coming up next year. As the first company in Japan to mass-produce ceramic seated flush toilets, TOTO was a pioneer in contributing to their widespread adoption. TOTO has increased the value of toilets with countless technological innovations. “Washlet,” which is commonly used to refer to warm-water bidet toilet seats, is a registered trademark of TOTO. The company also puts resources into reducing environmental impact and increasing energy efficiency, such as its unique Tornado Flush technology that effectively cleans with only a limited amount of water. This has led to the creation of water-efficient toilets that use only 1/3 of the average amount of water when flushed. Currently, TOTO has expanded its business to 18 countries and regions throughout the world, and its products are used in famous hotels and international airports worldwide. The TOTO museum was opened in 2015 as a project to commemorate the company’s 100th anniversary. Exhibits display the history and culture of plumbing equipment, and the incredible evolution it has gone through thanks to technological advancement. ◆The tour will be guided around the TOTO Museum. 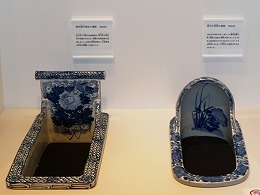 There will be opportunities to cover unique products such as an extra-large toilet made for sumo wrestlers, and historical artifacts such as the toilet that was used in the building where General MacArthur of the GHQ was based, when Tokyo. 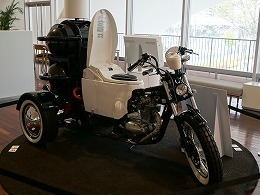 There is also the Toilet Bike Neo, a toilet motorcycle that runs on biogas fuel made from animal waste and domestic sewage. * FPCJ will later inform the participants of methods for payment, cancellation fee etc. 4. Number of participants: Limited to 10 applicants. (1) There may be some restrictions on photographing and filming at the tour sites. Please follow the instructions of the officials on duty. (2) Kitakyushu City and FPCJ will not be liable for any inconvenience, trouble or accident that might occur during the tour.